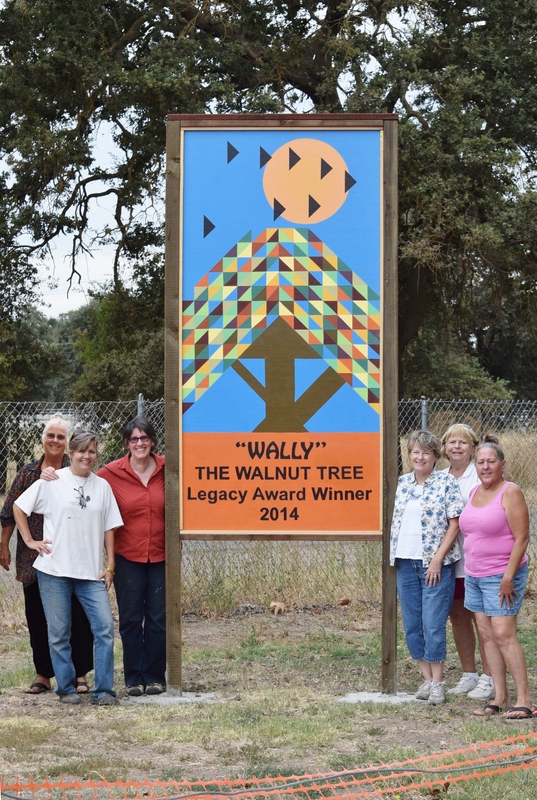 This very special project pays tribute to Wally the Walnut, the Legacy Award Winning Tree from the Sacramento Tree Foundation, and possibly the largest walnut tree in the Sacramento Valley Region. Flying geese cross a harvest moon above Wally’s fall foliage, and on the opposite side, Wally’s spring leaves brighten City Park on Elkhorn Blvd. 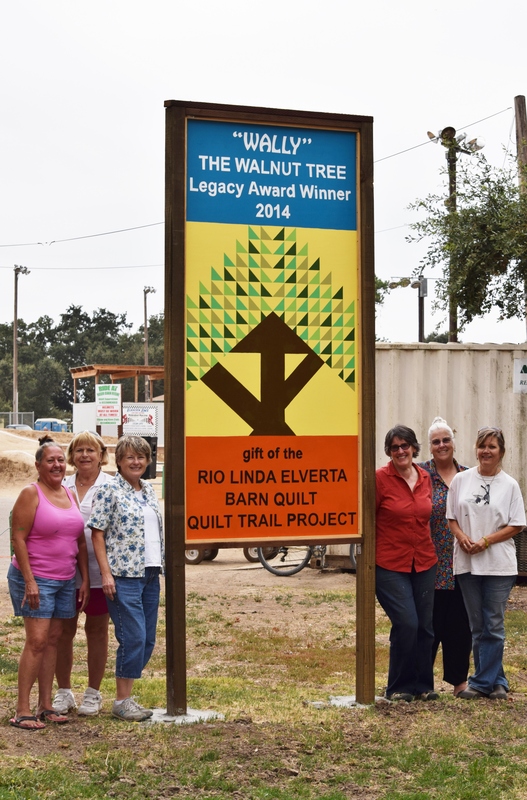 From left to right in the first photo, Sharon King (back) Deb Crowe, Audrey Medina, Sandy Sanders, Susan Trautman, and Ana Marie Tomlinson. I’m confused. How can a walnut tree be an oak?